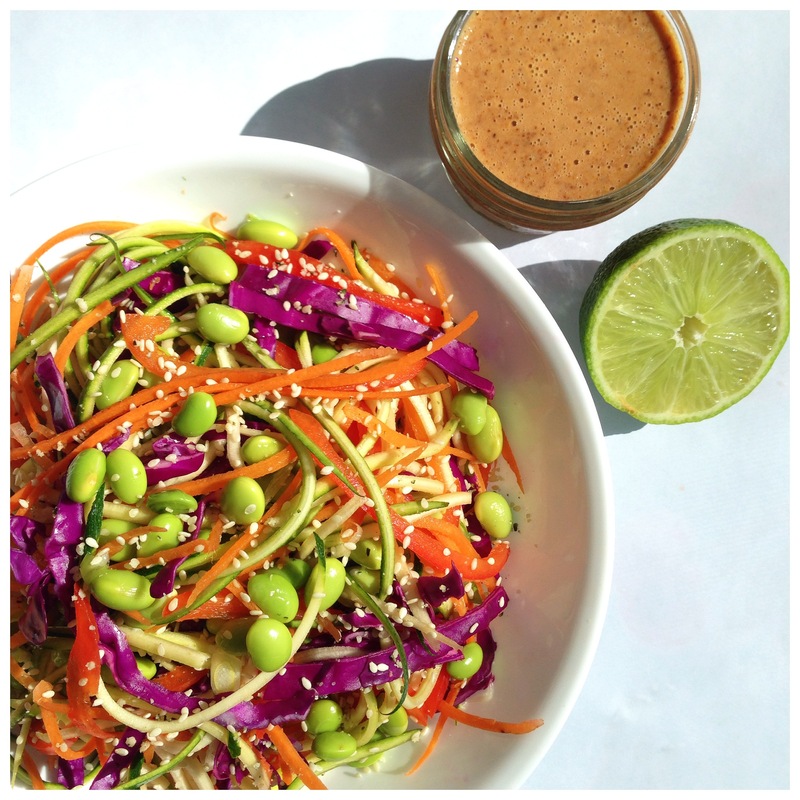 Raw Pad Thai & Ginger Lime Almond Butter Dressing. | Eat More Plants. Most often I use carrots, zucchini and cucumber for my noodles. Without having a spiralizer, they’re the easiest (in my opinion) to make noodles out of with a julienne peeler. I know I’ve said this about 4 million times, but the julienne peeler (by zyliss) was the best $7 I’ve ever spent. I use it at least 4-5 times a week! I’m still on the look out for a GOOD quality spiralizer; everyone seems to have some gripe about the ones they’ve bought, either being made entirely from plastic or just bad quality in general. Any suggestions are welcomed! 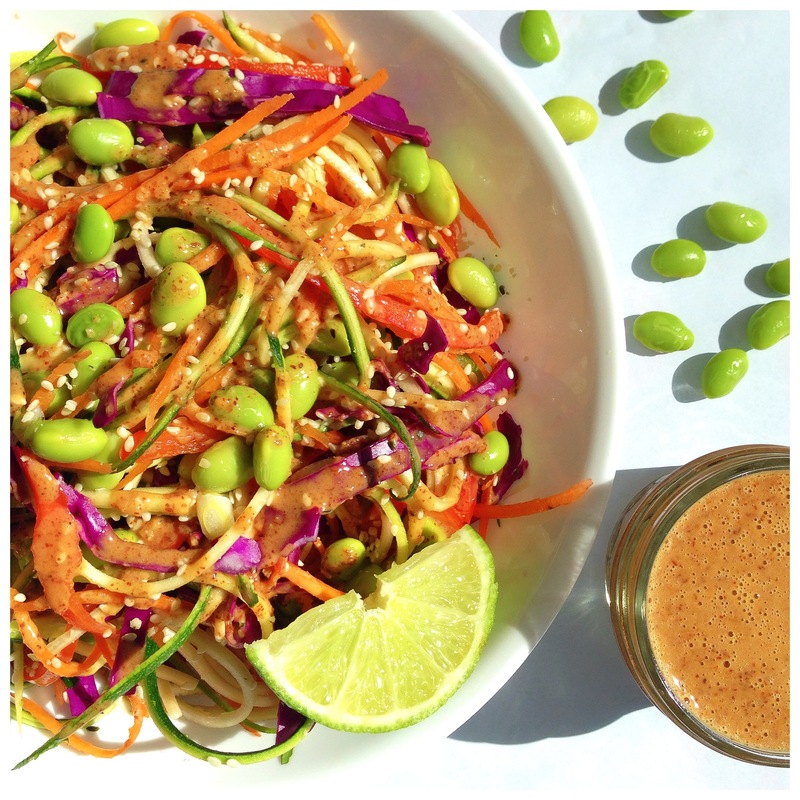 So, the raw pad thai dish I made today has been a favorite of mine from Angela over at Oh She Glows. I’m usually making one of her sweet dishes but this has been one of my most cherished recipes ever since I first made it. Truly, it is the dressing that makes the whole dish. After all, a salad is just a salad until you tie it together with some deliciously silky dressing, no?! I’m always up for anything with almond butter and ginger. The creamy, nuttiness of the almonds, the tangy lime juice, the ginger & garlic and of course a bit of salty tamari is perfection. I use this dressing for way more than just this dish. Although I often add some miso paste instead of tamari (or soy sauce if you don’t have tamari). I loooove miso and almond butter together. Blend everything and refrigerate the unused portion. Makes about 1/2 c dressing. In addition to the carrot & zucchini noodles, I also added some kelp noodles to my pad thai. There’s shredded red cabbage, edemame, sliced red bell pepper, sesame seeds, hemp seeds and green onion in there as well. Check out Angela’s recipe if you want to see the detail. That sounds great! 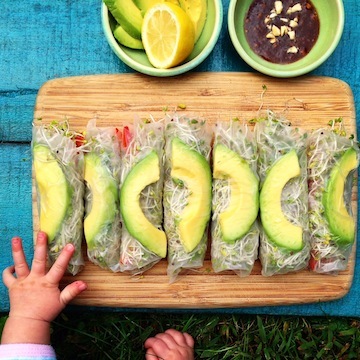 Would be awesome with spaghetti squash as noodles! Raw salads make me so refreshed afterwards! You have so many wonderful posts, I am especially fond of the vibrant pictures. This dish is definitely going to be a must try for me! Thanks!